Why you should show your customer the Alex Wedge system with the 5507 cervical roll There are several reasons It’s an effective and inexpensive way to have an ergonomic bed system. Zero Gravity position gives complete relaxation from head to toe while lying with the back supported. The elevated legs will alleviate strain on the lower back. 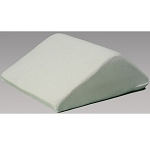 The leg wedge offers improved circulation and pain relief for the legs while reducing tension on stress areas. What accessories work well with this system? A neck pillow is recommended. 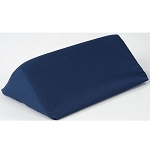 It can be a memory foam pillow, a cervical roll, or a cpap pillow works well too. ( 1025, 55255) For chronic or occasional back pain while going thru their daily activities, Alex’s lumbar belts and back supports, offer the support and comfort needed while standing for extended periods of time.